Are You Making These Common Asset Protection Mistakes? In our society it is easy to become the target of someone attempting to get a judgment for money against you personally. Owning exposed assets makes you an exceptionally inviting target for a lawsuit. Thanks to the internet, it is now very easy for people to find all of your assets, such as real estate, that you own. This is especially true if you own commercial or investment properties. This means that it is now more important than ever to make sure that you have properly protected your assets. Below is a list of common mistakes that people make when creating an asset protection plan. Failure to Maintain and/or Establish Corporate Records. You may view yourself as a business person and not a keeper of records. Maybe it’s not your nature to hang on to all of your papers and keep strict record of all your corporate affairs. Unfortunately, this can be a huge mistake. One of the first things that a plaintiff’s attorney will ask for in a lawsuit is to examine your corporate records. Many people, especially if your business is small, fail to set up their company correctly, and don’t update their records annually. There’s never a better time than right now to start doing so. Our asset protection team can review your records and advise you what changes, if any, need to be made to ensure that you are protected and ready if the worst case scenario ever happens. Believing That Your Revocable Trust Will Protect Your Assets. While a living revocable trust is an important tool when planning your estate, it will not protect your assets. A revocable living trust will help take of your family if you cannot, and help them avoid probate upon your death. These are just a few of the advantages of having a trust, but a trust will not protect your assets. Waiting Too Long. It is always a good idea to begin planning for asset protection before legal issues arise. Never wait for a creditor to come knocking at your door because at that point it could be too late. A good asset protection plan that is integrated with your estate plan is the most effective and least expensive way to ensure your estate is protected, as long as it is done in a timely manner. Transfer Your Assets to Insiders or Family Members. 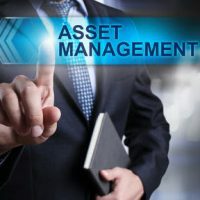 While it may seem like a good approach to give control of your assets to your family members or another insider, this is rarely a good solution. This approach will often have gift tax consequences and you could even lose control of your wealth. Too Much or Too Little Insurance. Having too much insurance will certainly make you a target for potential plaintiffs. Having extensive coverage is like putting a bullseye target right on your back. But having too little insurance may not be a good idea either. There is an amount of insurance that is a happy medium. You need to be sure that you have enough insurance to provide for a good defense if you are sued, but not so much insurance that you become an inviting target for a lawsuit. David Toback, Attorney at Law in Tampa has decades of experience helping his clients ensure that their assets are properly protected. Contact him today to schedule a consultation and begin the process of ensuring that yours are protected too.